Investigators examining this week’s fatal crash involving a pedestrian struck by a self-driving Uber are scrutinizing the vehicle’s automated driving technology, and why it didn’t register a pedestrian in the middle of the road before the collision. On Friday, Velodyne, which makes LIDAR sensors used by Uber, said its technology isn’t at fault in the crash. LIDAR, a laser-based radar that allows an autonomous vehicle to see the road, is a crucial piece of hardware for self-driving car developers. The crash occurred around 10 p.m. Sunday, but industry experts say the LIDAR system should have no problems seeing in the dark. Many players in the industry rely on Velodyne’s LIDAR, including Uber. And a top executive at the company told Bloomberg it’s “baffled” that Uber’s Volvo XC90 failed to recognize the victim, 49-year-old Elaine Herzberg. Marta Thoma Hall, president of Velodyne Lidar Inc., maker of the special laser radar that helps an autonomous car “see” its surroundings, said the company doesn’t believe its technology failed. 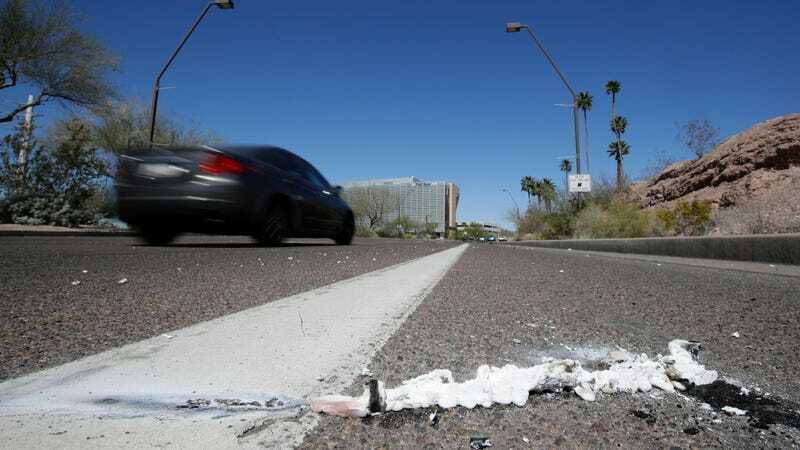 But she’s surprised the car didn’t detect 49-year-old Elaine Herzberg as she pushed her bike across a road in Tempe, Arizona, around 10 p.m. on Sunday. What she’s saying is, LIDAR’s ultimately capable to handle seeing the road—especially in the ideal conditions in Tempe, Arizona, on Sunday—so the issue must’ve been a breakdown in Uber’s autonomous vehicle software. She said that lidar has no problems seeing in the dark. “However, it is up to the rest of the system to interpret and use the data to make decisions. We do not know how the Uber system of decision-making works,” she added. Recognizing pedestrians continues to be a challenge for autonomous technology, which will be part of the focus of the investigation. Thoma Hall suggested that those answers will be found at Uber, not Velodyne. That jibes with comments from experts who study autonomous cars. Earlier this week, University of South Carolina law professor Bryant Walker Smith told Jalopnik that Uber’s equipment “absolutely” should’ve detected Herzberg on the road. And that’s why Velodyne believes the “problem lies elsewhere,” Thoma Hall told Bloomberg. Update: The headline of this post has been altered to reflect that Velodyne’s comments deflected blame away from its technology, not that it directly blamed Uber.